Here is a lovely picture from the Fifties. Please add the names that you recognise. Tom can you recall if the boy called Turp was named Alan? Hi Tom, front row first from right to left looks like Peter Bloss. Loking at the picture from right to left names that I know are.Back Row Frank Hewitt,Me,Barry Benton,space/Richard Scruby,space/Front row Right to left as you look at the picture.space/Alan Thompson/Ray May/Kenny Ross/I think the next one his second name is Turp. 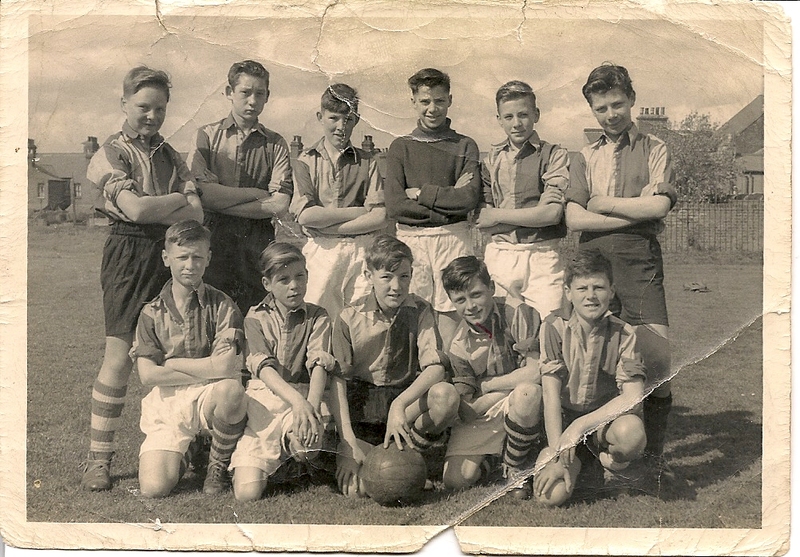 back row second from the left looks like Richard Scruby.